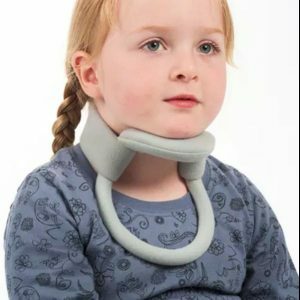 Our Philadelphia Collar Provides A Superior Combination Of Immobilization And Comfort With A Softer Foam Instead Of Hard Plastic & Offers A Wide Range Of Sizes To Better Accommodate Precise Fit. Trachea Opening For Easy Access & Better Airflow. 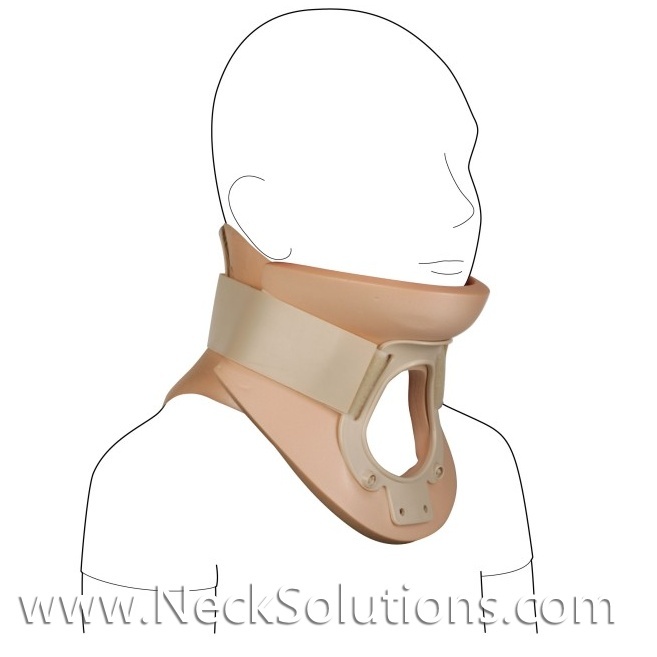 A Unique Philadelphia Collar Provides Both Firm Support And Comfort. 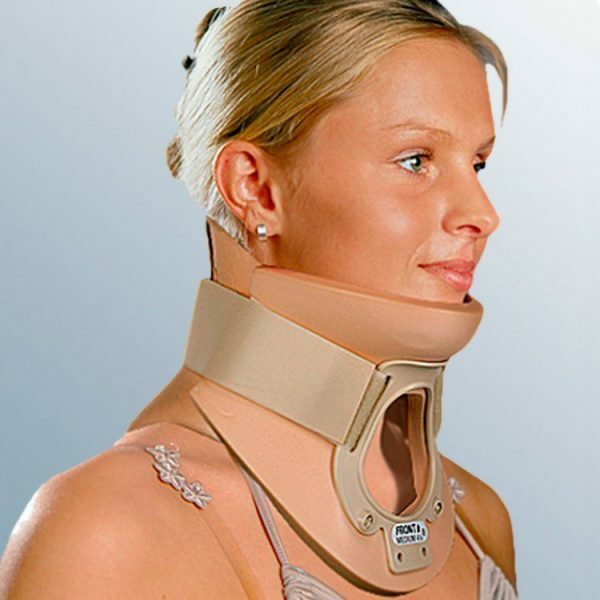 Using a combination of properties, the Philadelphia collar affords rigid stabilization in comfort not found with the usual hard plastic material. 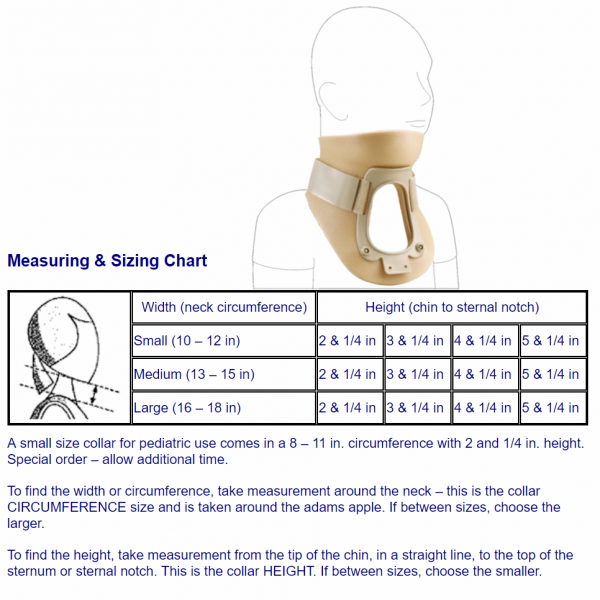 To find the width or circumference, take measurement around the neck – this is the collar CIRCUMFERENCE size and is taken around the adams apple. If between sizes, choose the larger. To find the height, take measurement from the tip of the chin, in a straight line, to the top of the sternum or sternal notch. This is the collar HEIGHT. If between sizes, choose the smaller. A) Position the back part of the collar around the neck. B) Then position the front half of the collar in place on the neck overlapping it with the back portion as the chin rests in the recessed area. 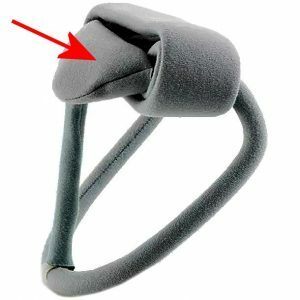 C) Fasten the velcro straps securely. 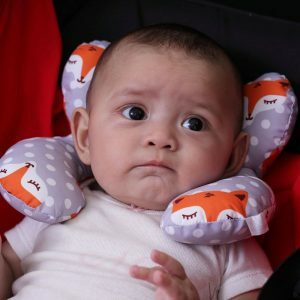 The special properties of the cervical collar are using a plastic with high durability attached to softer non-allergenic and resilient foam. This makes the collar feel softer and more comfortable than the traditional hard plastic used in most philadelphia collars. 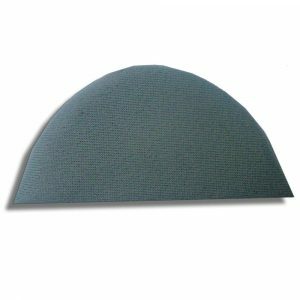 This, along with holes for ventilation, greatly improves comfort for the user. 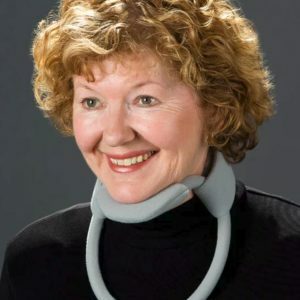 The philadelphia cervical collar is resistant to liquids and cleans easily with mild soap and water. 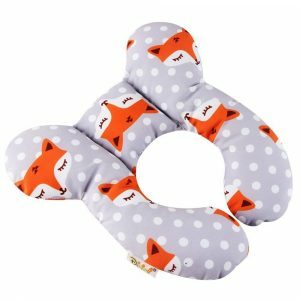 Comprised of 2 separate parts, it is applied in the front and back of the neck and attaches with Velcro at the sides. 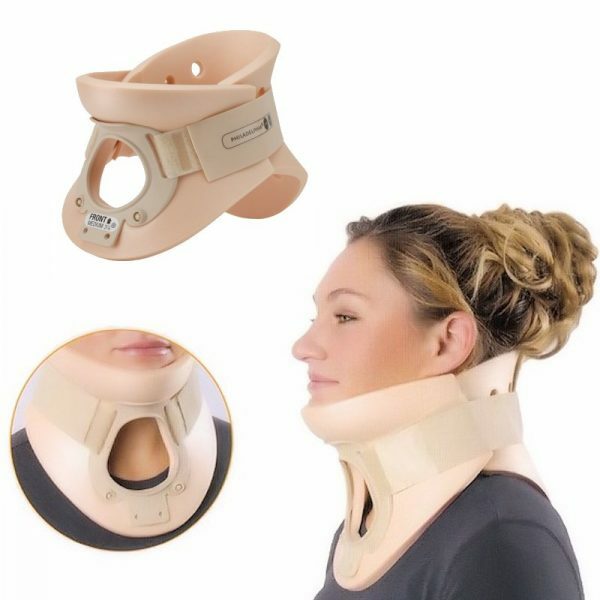 Typical uses for this collar are after fusion surgery, significant strain of the neck muscles, sprain of the neck ligaments or after fractures, all of which can cause instability of the cervical spine. The contours of this special collar area molded for a supportive and comfortable fitting at the shoulders, neck and around the chin. 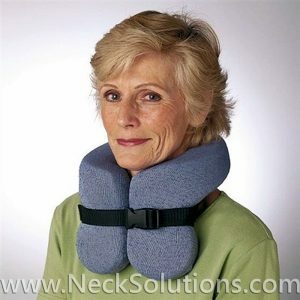 The front and back portions fit together to provide a stabilizing support, so it immobilizes the neck properly. Nerve inflammation, fractures, reduced dislocations, post halo body jacket – specific conditions for use should be assessed by doctor. The amount of time for application and duration should also be determined by your doctor. Making changes to the collar is not advised. 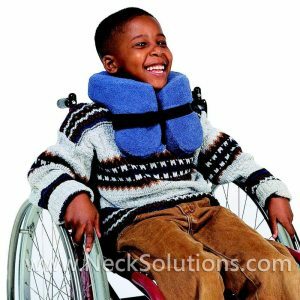 It should tightly around the neck which may cause hematomas or interfere with blood circulation or compress sensitive nerve structures. 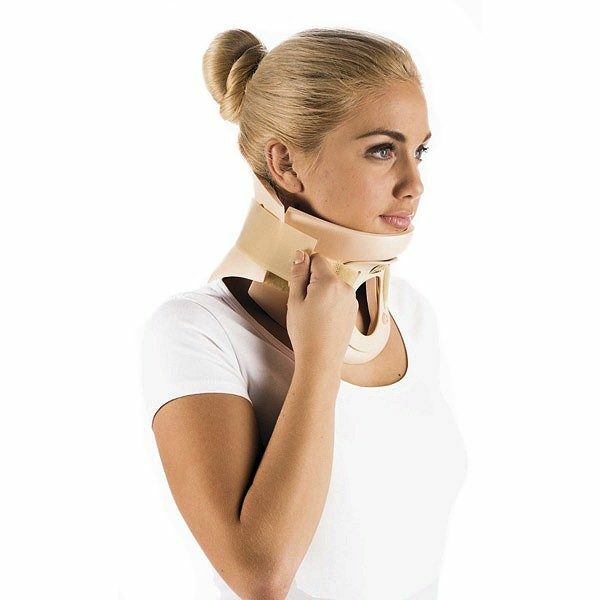 Using front and back reinforcements, the philadelphia collar provide superior stabilization, ensuring cervical spine immobilization.